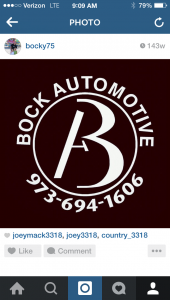 Bockauto had the most liked content! We are using the Trico Extraclear beam blade. So far so good. I use Mitchell and the scheduler in the system to me is very complicated. So still using white board. It is something I need to spend time on. Does anyone else feel the same about the Mitchell scheduler? Please let me know how that Yelp pay per click works out. I have been thinking about doing that for a while and getting mixed reviews. Thanks. I'm not so concerned about the reviews. I just want my customers reminded about recommended services, and maintenance schedules etc. from what I have seen with Mitchell I can see exactly what and when I have made and or sent the recommendation quickly. Demand force and mechanic net require a little more hunting to find these things. Just go set up with Mitchell crm today. I was with mechanic net prior. I like the integration with shop management. I was not at all impressed with mechanic net. I'm a technet shop. Feel free to give me a call. 973.694.1606. Bill Bock. Mspec I had the same problem with bolt on. I really wanted to be able to print key tags.